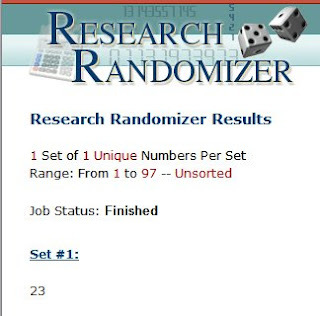 The results from the randomizer are in! The winner for the Huge Giveaway is…. Comment #23–Heather Meyer. YEAH!!!! That was such a fun giveaway! Thanks to EVERYONE that participated. I was so impressed with the response. Don’t worry if you didn’t win this one, I have another one starting in a few weeks!